Oh, how I love the city of love. Paris has always been romanticised in my mind from cinematic shots of the Eiffel Tower to long walks along the Seine. The cuisine, the accent, the women and their inherent chicness – I sigh a little just typing this. I’ve made three visits to the city since I moved to Europe 18 months ago, and each time has been an entirely different experience. The facets of Paris are vast and varied and I’m of the belief that there is really no way you can understand Paris in all of its wonders unless you live there for some time. I unearthed all the locations in this Insiders’ Guide through the suggestions of my closest Parisian friends whose taste I trust completely. Everything within this guide is reflective of my deep desire to experience the way Parisians live, to discover exclusive off the beaten track locations and uncover hidden gems the locals keep for themselves. I will continue to keep this guide updated so check back when you’re planning your next trip to Paris! You can’t go to Paris without dropping by a department store. Do yourself a favour and skip the stampede at the Champs Elysees and Galaries Lafayette and head over to Le Bon Marché. Frequented by serious shoppers, you’ll find all the high-fashion brands plus under-the-radar French brands to Frenchify your wardrobe a little. Unlike other touristy department stores, Le Bon Marché is quiet in comparison, giving you the freedom to take your time and enjoy the beautifully decorated merchandising displays that can only be described as manifiqué. 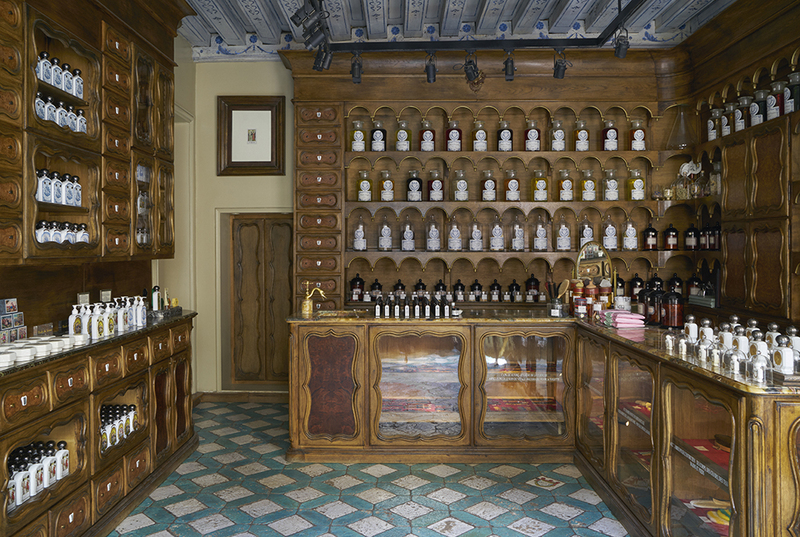 This apothecary is seriously from another time and world, but it still sits firmly in its place. Walking through the doors of this two-century-old atelier is like walking back to the 1800s. The workshop carries cosmetics and perfume that feed on the latest advances of contemporary cosmetics, all the while remaining true to the teachings of the ancient formulation. I’m all about unique products and experiences and if you are too, I would highly recommend visiting! Even if you’re not looking to buy anything, wondering through the store is an experience in itself. This is the best market street in Paris. It’s an authentic French market frequented by locals in a fairly quiet and non-touristy area in the 7th arrondissement. You can find a delightful selection of speciality food stores, patisseries, butchers, delicatessens, cheese specialists, seafood stores, greengrocers and chocolate shops. You’ll be surrounded by locals buying their favourite foods or just sitting and watching the world go by. It’s definitely a place to visit if you really want to see what local life is like in Paris! This is the oldest covered market in Paris dating back to 1628. It’s now turned into a hip dining destination with multiple stalls with seating where you can sit down for breakfast or lunch. Cuisines include Morrocan, Italian, Japanese and French just to name a few. You can also shop around for high-quality French products at affordable prices. The place is very crowded and hectic on the weekends so expect to queue a bit. Overall, I highly recommend visiting as it’s a fun and authentic Parisian experience! Take your sugar cravings to this century-old patisserie and I promise you won’t be disappointed. You can probably tell by now that I have a tendency for old historic establishments 😛 Angelina is a sophisticated tea room that used to be the epitome of Parisian aristocracy. The moment you walk in, you know you’re going to eat yourself into a sugar coma. We indulged in countless pastries and we went with the speciality of the house, the “African Hot Chocolate” and “The Mont Blanc”. A hot chocolate from three different kinds of African cocoa paired with a pastry made from meringue, light whipped cream and chestnut paste vermicelli. Those were some of the best-spent calories of my life. If you find yourself getting lost at Le Bon Marche and then noticing your tummy rumbling from running all over the store, head over to Le Petit Lutétia. It’s a small Parisian bistro that looks old and slightly underwhelming from the outside but has the perfect offering of traditional cuisine, both simplistic and authentic. Don’t get fooled by the appearance of the displays – an order from the daily specials on the menu board is all you need after an afternoon of extensive exploring. Take a lovely walk around the Marais starting on my favorite street, Rue de Rosier. You can start here and get lost in the utterly charming old streets, full of shops, cafes, and restaurants. My favourite places to visit are Lõu Yetu (a chic and dainty jewellery store which opens its doors once a month but also sells through Instagram) and L’As du fallafel (best falafel ever)! One thing you MUST do when visiting Paris is to go to Versailles. This is a very touristy destination but I recommend that you skip the palace and go see Marie Antoinette’s country house on the opposite side of the property (Petit Trianon). It’s so beautiful and charming! If you’re really in the mood for it, you can really feel her there. Toby and I packed our picnic basket and had lunch at the Versailles Gardens :). Not quite off the beaten track but our insider source urged us that it’s not a place to be missed. You can see Monet’s works at the Museum d’Orsay but a visit to his gardens allows you to take a literal step into his paintings. The lily pond in the garden is breathtaking in Spring, and to get there you need to through a tunnel dividing the gardens. Very experiential. All beauty aside, it’s important to arrive early (and ideally offseason) to beat the crowds. We arrived a little too late and were not able to capture any beautiful shots to share. We are surely coming back to experience the location at a less busy time. This stunning boutique hotel is somewhat the “new kid on the block” yet it feels like it’s always been there. This hotel is a true gem with its beautifully designed and very unique interior giving off a feeling of understated chic. Le Narcisse Blanc Hotel & Spa is only a stone throw away from the iconic Eiffel Tower and the fashionable St. Germain de Pres. It feels so luxurious and private as if it couldn’t be so conveniently placed in the centre of Paris, but it is! Le Cinq Codet is a hotel that especially impressed Toby and I on our third visit to Paris. From the outside, the hotel seems discrete, tucked away in a small street right in the city centre yet away from the tourist buzz. The staff do an amazing job at making you feel at home and the modern artistic design of the interior keep your eyes and minds wandering. Our room was stretched over two levels with the most amazing bathtub next to our bed. The way up to the second floor was decorated with rose pedals and we were greeted with a bottle of champagne in the room. If you’re travelling with your partner, I would highly recommend a romantic getaway at this hotel! I stumbled upon your post and over it! Your photos are so so pretty, Did you edit them yourself? Also, your blog is so neat and tidy, I love it. Are you a web developer on top of your so many other talents!? Looking at your other posts just made me envy you even more! Yes I edit them myself 🙂 I have a little web development skills and I also used to design websites a few years ago which helped a lot when I created this blog. I also spent around a year doing photography as well so I think all of these skills kinda come together on this blog 😆 have a great weekend, lovely! I love reading things about you, always so interesting and helpful<3 This blog is so pretty and neat, it's really easy to find things you wanna know and read. Lovely pictures birdie! I really enjoyed reading this but i never can understand the names of these places until i learn French.. Hehe.. By the way your observation is great! Everything within this guide is reflective of my deep desire to experience the way Parisians live, to discover exclusive off the beaten track locations and uncover hidden gems the locals keep for themselves.